Expectations. We have them of ourselves; we have them of others. Sometimes we don’t know they are there. Other times we are very aware of them. Set the ‘bar’ too low and you get below average performance. Set the ‘bar’ too high and you are constantly disappointed. Here is a story about how expectations showed up in my life recently and the steps I’ve taken move past them. BAM! I was wide awake. My mind was racing; my thoughts on fire! Needless to say I wasn’t going to sleep anytime soon! I reread these 3 pages of the book at least a dozen times. In this small section of the book Elizabeth talks about the importance of focusing more on finishing the work and less on whether it was is ‘right’ or not. She talks about how she would hear the voice of her mother saying “done is better than good” while working on her writing. She goes on to explain how many people just don’t finish things and that simply by finishing something, regardless of the perceived quality of the work, you are already miles ahead of the general population. I started reflecting on my own teachings from my childhood and how they were showing up in my life. It was profound. 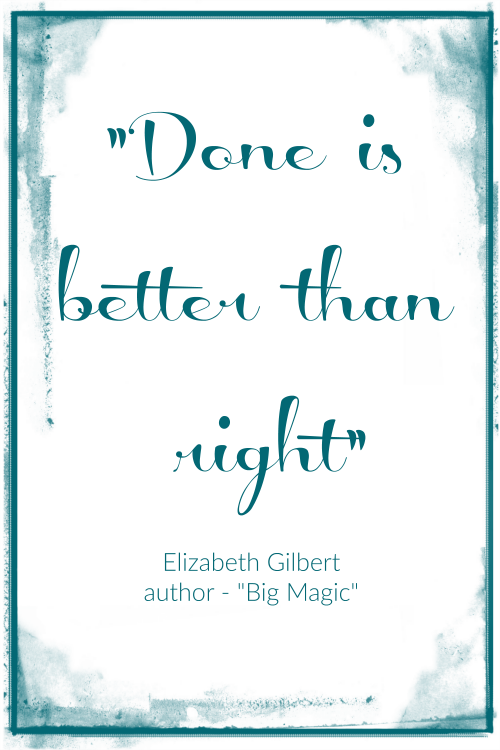 Elizabeth grew up hearing “done is better than good” which keeps her moving forward, towards the finish line. What I took from my childhood was “Never do a half a job. If you’re going to do something, do it right the first time”. This teaching has left me stuck in the starting blocks more than once. I never strived for “done”, I am always reaching for “right” which, when I get really honest with myself shows up for me as “perfect”. Who gets to define ‘right’ or ‘perfect‘? Never before had I asked myself this question. I have a very high bar for myself, and I can end up projecting these high expectations onto those around me … family, teammates, colleagues, managers, etc. I’m sure one or two of you will relate while reading this. Now the one caveat here if you are in the business of saving lives; engineering structures and machines; or sending people into space there is probably a definition of “right”. What I’m talking about here is working in the creative space; where you are giving the world gifts from your soul. In this space, the only definition of ‘right’ that really matters is yours. It was time for me to look at my own definitions and adjust. For me, the definition of ‘right’ has been almost crippling at times. There are numerous examples in my life where this idea of ‘right’ keeps me from even starting. My business – Not knowing exactly what the idea IS definitely means it’s not ‘right’ so why bother starting?! ugh … exercise – If I can’t do it ‘right’ why even start! Home Improvements – I don’t have the money or time do to EVERYTHING I want to do to make this room ‘right‘, so I’ll just live with this annoying and demotivating paint colour for years. I could have just painted and it might have improved things dramatically. Why not just get it “DONE”!? 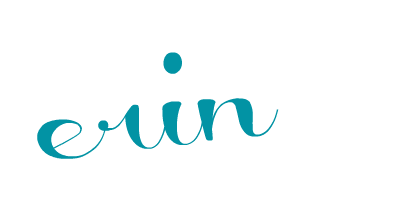 Writing – need I say more? Yes, even this post had some bumps while coming into the world. Have you ever not started something because you know you don’t have enough time/resources/money/vision/etc. to get to you to the ‘perfect or right’ place? Maybe you can’t even see the end right now. I can now look back and see all the times I’ve built up a project or event so big in my mind that I can’t even take the first step forward because I know I won’t be able to finish it ‘right’. After reading ‘Big Magic’ and trying on this new paradigm or ‘lens’ through which to view the things I was working on, suddenly things didn’t seem so overwhelming. I let go of “perfect”, “good” and “right” started to enjoy the journey to the destination. When I adjusted expectations, redefining ‘right’ for others AND myself, I started moving forward. And you know what? The quality of what I was delivering wasn’t even a factor – in fact you may argue it was better because things were getting DONE! Like all things, undoing years of habit and conditioning will take some work, some re-training of this ‘muscle’ so to speak. Here’s where I started and what worked for me. #1 – Become aware of how ‘right‘ and ‘done’ are showing up in your life. 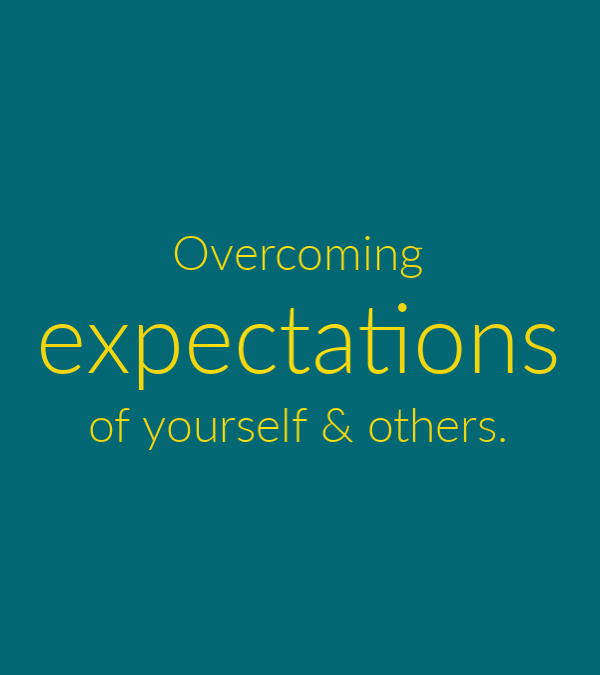 #2 – Get honest about your expectations of yourself and others. Mine were usually totally unrealistic and unachievable. 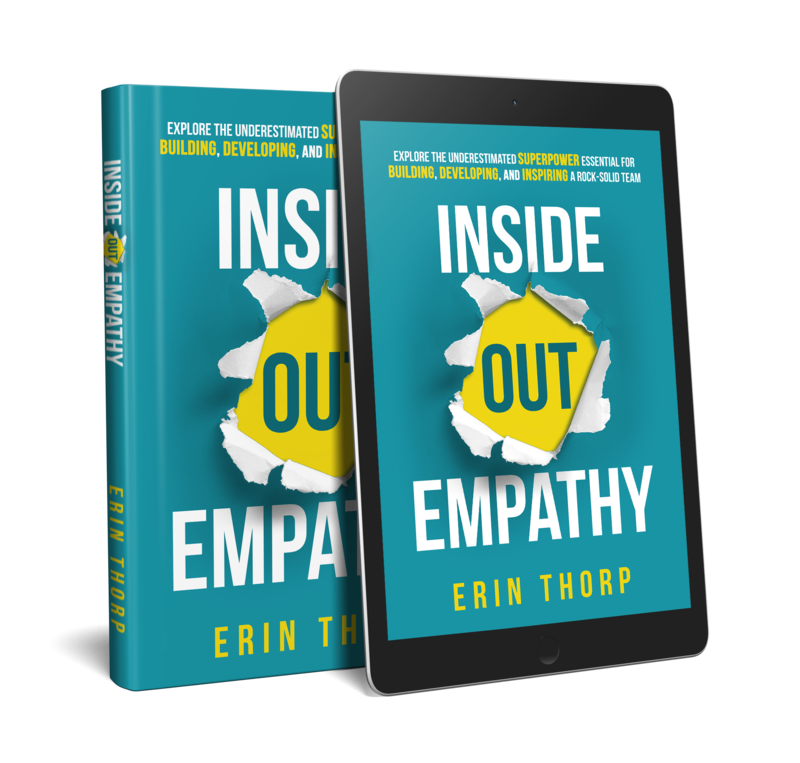 #3 – How are these expectations limiting you and question if they are really necessary? See above. #4 – Start with one thing. For me it was house hold chores and cooking. I started letting the kids help, actually teaching them. Remembering we all have to start somewhere. #5 – Challenge yourself to adjust expectations. What would done look like? Laundry done was washed, dried, folded (yes, by a 6 year old) and put away. It wasn’t all the same size, neatly folded or even put away in the right spot sometimes. It was DONE, not perfect. Having someone help you navigate these changes & move through your discomfort while you learn to adjust your expectations will increase your chances of success. Flexing this muscle takes practice. Moving from unconscious behaviour to conscious living will take time. It will be work. It is very worthwhile work and highly rewarding. Already, I have seen many positive shifts in my life and business from challenging my mindset and adjusting my expectations. As entrepreneurs we simply cannot wait for ‘Right’ – we must get things DONE and out into the world.